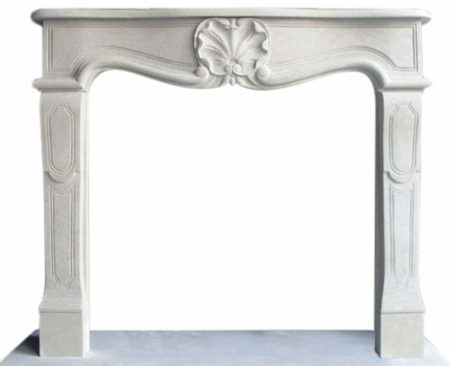 Greenwich White Marble Arched Mantel named after the historic city of Greenwich, Virginia. 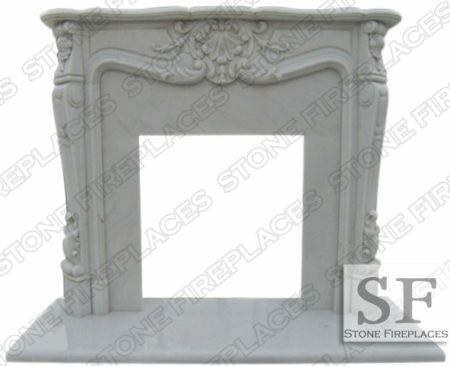 White marble fireplaces are the most iconic mantels. They are what is commonly thought of when one pictures a marble surround. The arch and the keystone in the arch are two of the shaping features. The leaves in the surrounds of the firebox are also not to be overlooked. They are carved into a step recessed panel that leads up to a firebox. Virginia has beautiful colonial architecture and the Greenwich mantel is very fitting in that style because both have Greco-Roman Italian roots.